LovesPaws provides pets cage free in home boarding as an alternative to kennels. Serving O'Fallon, Shiloh, Troy, Collinsville and Scott AFB Illinois. 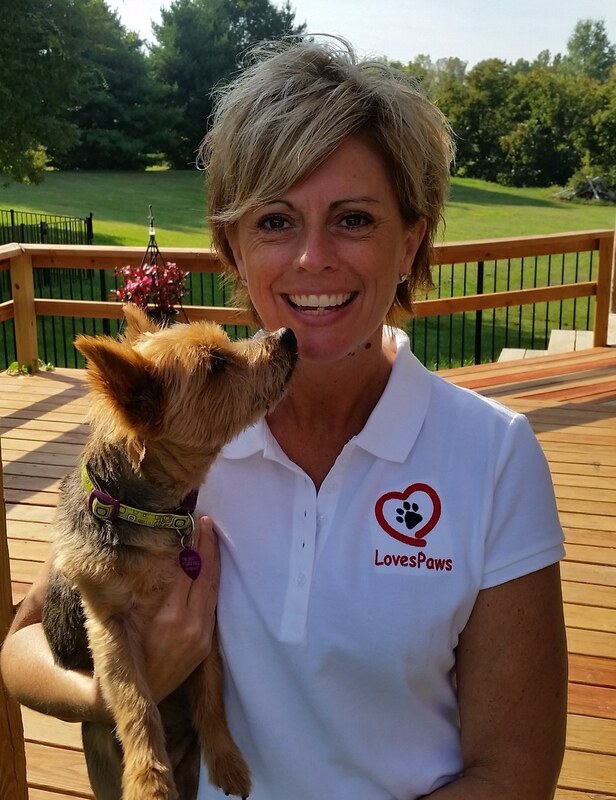 LovesPaws' in-home boarding service allows you to bring your pet to our home where they will socialize with our dogs as well as enjoy a dog friendly environment including hardwood floors, 1/2 acre fenced yard and comfortable beds. In-Home Boarding is focused on providing pets in the O'Fallon and surrounding area a high level of personal care. Our goal is to help minimize stress on your dog as well as enable you to make the most of your time away without worry. LovesPaws' Dog Day Care will ease your stress and guilt over a long day away from home and your pet. Whether it's an after work meeting, kids going back to school, or a play day with the LovesPaws gang your Fur-baby will enjoy the day and you can pick them up guilt free. Day care is available as a regular daily or weekly service or for the occasional long day. Our home is conveniently located between O'Fallon and Troy Illinois. LovesPaws is insured by Pet Sitters Associates for accidents or injuries to your pets as well as pet parents. We are also a licensed kennel operator by the Illinois Department of Agriculture. LovesPaws' passion often takes us out of our home. We're happy to make Pet Sitting visits to your home for dogs or cats. As a Certified Vet Tech Becky is also qualified to provide injections and sub-q fluids. We can visit you for nail trims, ear cleaning and other minor care. I also pride myself in the oath I have taken and my role as a Pet Advocate. I'm happy to discuss any situation and assist with the most difficult decisions.